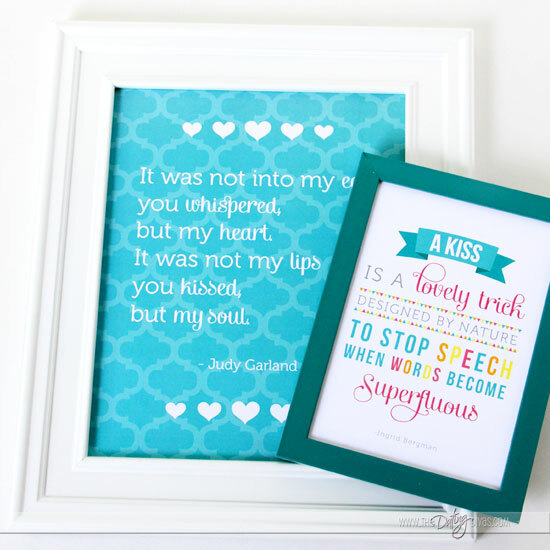 If you are looking for a romantic DIY gift or just an amazing way to document your love story, look no further! 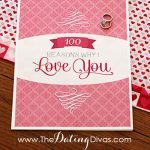 Our printable love journal is the perfect DIY anniversary or birthday gift for your husband. 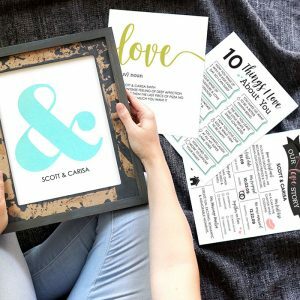 This amazing printable pack includes journaling prompts, gorgeous one-of-a-kind graphics, and spaces to include treasured photos. 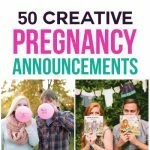 We collaborated with one of our all-time favorite designers, Erin of Strawberry Mommycakes, to develop a modern love journal that your husband will love. 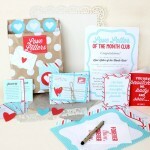 The I Love Us book features 48-pages of beautifully coordinated designs and writing prompts. All you need to do is print and add your unique story! 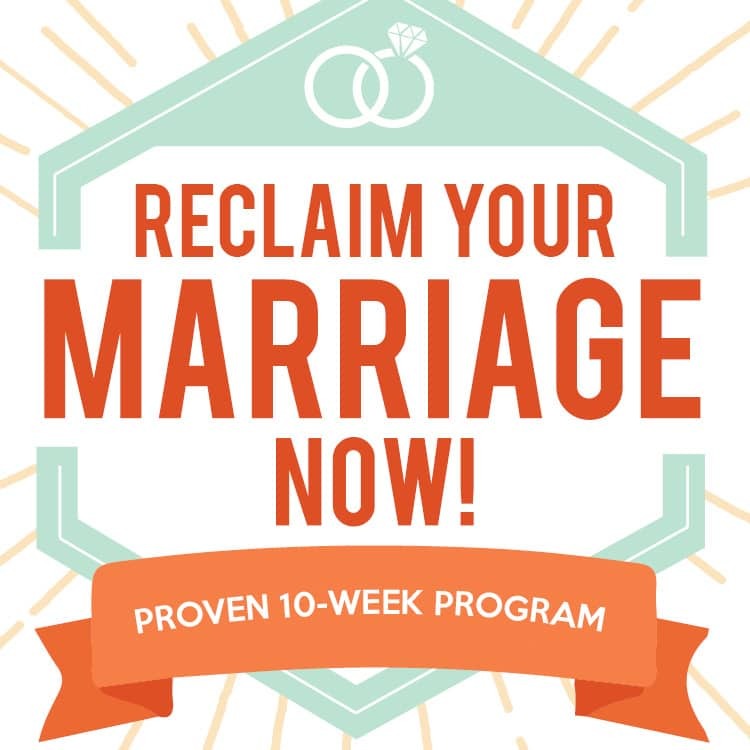 Documenting the what and why of your relationship has never been easier! 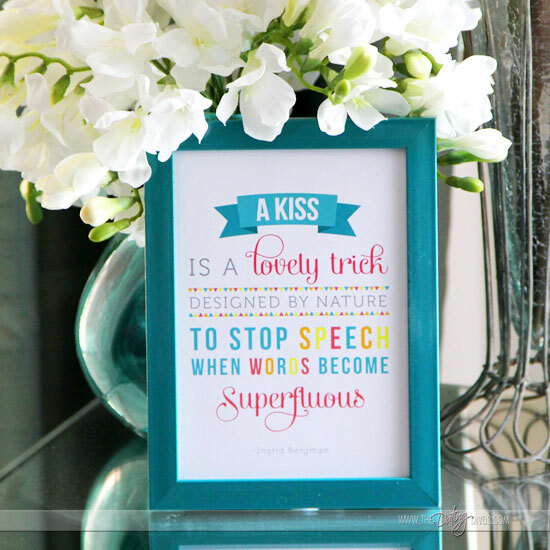 I absolutely love the bright colors and design elements included with this printable bundle! Recording your story doesn’t have to be tedious or time-consuming. 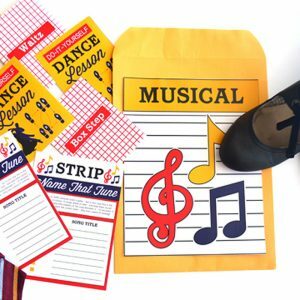 And, you don’t need to have a background in scrapbooking or graphic design to pull everything together. Nope! 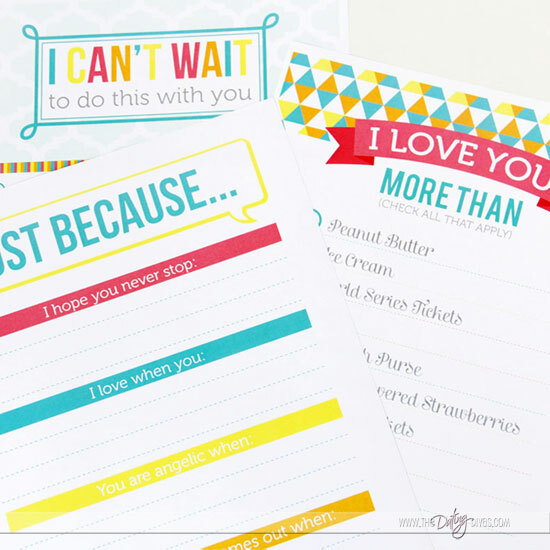 With our printable I Love Us book, it’s all done for you! 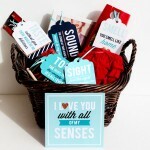 We’ve taken all the guesswork out of crafting a unique keepsake celebrating your relationship. 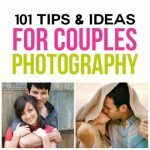 To get started, you will need pens, scissors, glue, a 1-inch binder, and several cute photos of you and your sweetie. If you want to keep your pages beautifully preserved for years to come, you might consider placing them in page protectors. Erin included not just 1 gorgeous cover, back, and spine designs, but 2! You get to take your pick. 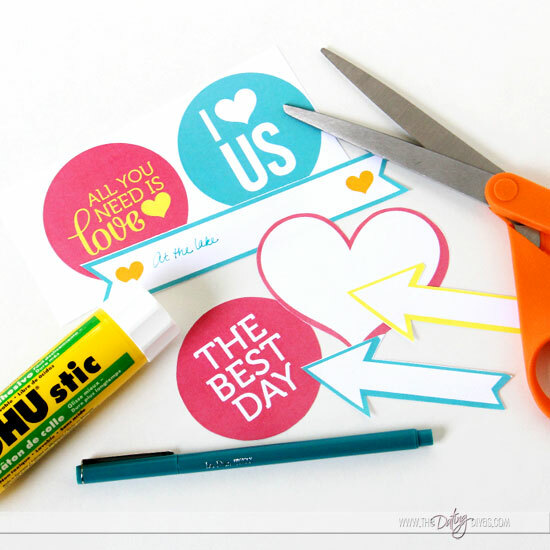 The last step is adding photo embellishments to the pages. The ribbon banners serve as perfect caption placeholders to remind your spouse of shared times together. Don’t you love the cute arrows and LOVE graphics?! 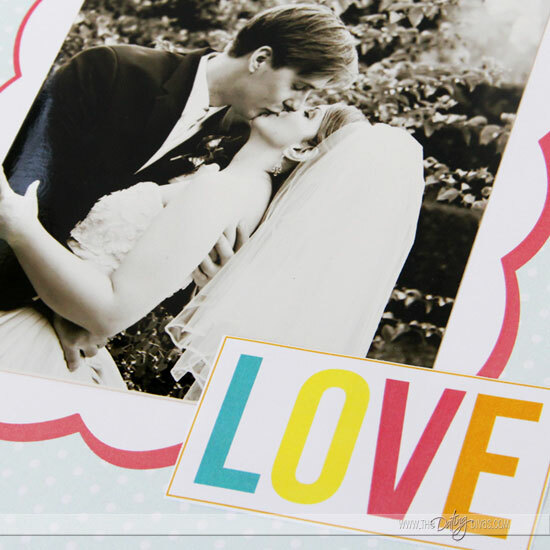 We bet your hubby will love this walk down memory lane! 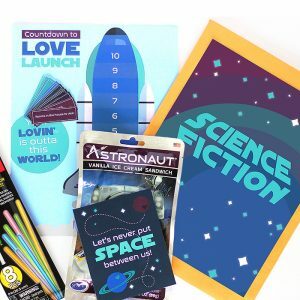 He will be amazed at all the care and effort that you took to create a one-of-a-kind gift for him. These art prints are amazing! I absolutely love this idea! 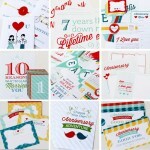 It seems I always find the most adorable anniversary ideas right after my anniversary (last week). I had to wait the whole lady year to give my hubby the “exploding love box” lol! I want to compliment such a great idea! Things like this help keep marriages strong. I am a font crazed girl and I couldn’t help but notice the one you used to sign your name (with the heart). Can you share the place you found this adorable lettering? I don’t have a blog or a website so I’d only be using at home or maybe church stuff! Thanks! Thank you so much Jelayne! The font is from DJ Inkers and one that you would need to purchase. This is an amazing idea I would love to do it. Do u ship to Ireland? Hi Danielle! 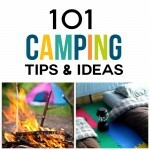 This product is an instant download so no shipping is required… just follow the link to our store for instant access after purchase. We’d love to see what you come up with! Be sure to post some great pics of your album on social media and use #datingdivas so we can see it! So glad you loved this idea!